First, I am using the devotional guide put together by our church. Randa and I each contributed a devotion. Second, I am using the Following The Star online devotional. It was created and is produced by Passport, Inc., a student ministry organization focused on creating meaningful experiences and resources for students. It has been an interesting experience to read devotions from several contributors who were students at Truett when I first started as a seminary student. The final resource I am using this year is a book, Setting the Christmas Stage by John Indermark. It is a unique resource in that it does not have daily readings, but four readings per week. It also uses the metaphor of a play to present the themes of Advent. As someone who is not gifted in the dramatic arts at all, it has been a stretching and encouraging resource. There are also great family, small group, and congregational ideas to use with the book as a part of the journey. Another thing that has helped with my Advent journey this year happened last night. A few of our youth, a college student, a few youth workers, and I attended Convergence‘s Jazz at the Vespers Christmas service. It was a beautiful service with wonderful music, scripture readings, and the freedom to experience God in a stress-free setting. 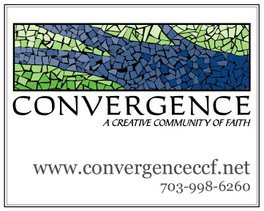 Todd and Lisa and the rest of the leadership over at Convergence are doing a great job following the call of Christ in their lives to be a creative community of faith. Check Convergence out if you get a chance and support them in any way you can! « The Real Meaning of Christmas?